My oldest daughter is growing up so fast. Next year she’s going to be a senior, and then it’s off to college. She has a very busy schedule which usually involves studying for her early college courses or winterguard practice and competitions on the weekend. Usually she has a free day at least once or twice a week, so we get to hang out together. Sometimes we watch our favorite shows and other times we do fun beauty stuff together. 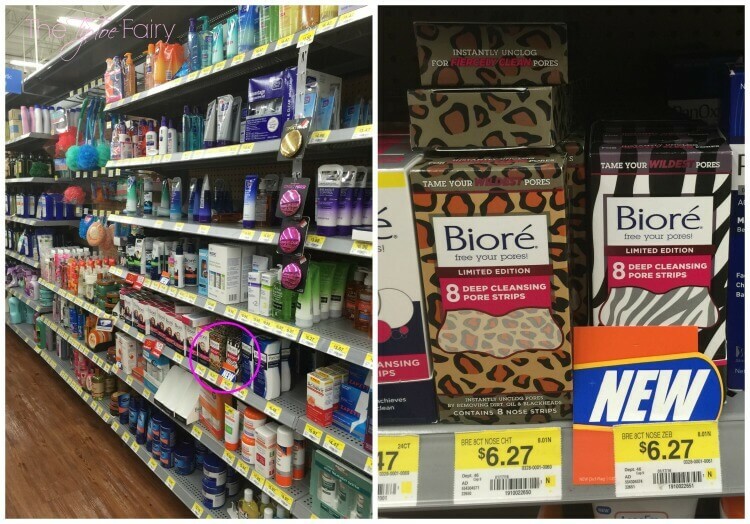 The other day I was at Walmart and saw the new limited edition animal print Bioré Deep Cleansing Pore Strips. They are exclusive to Walmart, and I thought they would be perfect to put in a DIY Spa Kit for both of us to do together. My daughter loves animal prints, especially zebra, so she was excited to see these. These prints make cleaning your face a little bit more fun! I put together some of our favorite things in the spa kits from nail polish for our toes to corn bags to these exclusive Bioré Cleansing Strips. 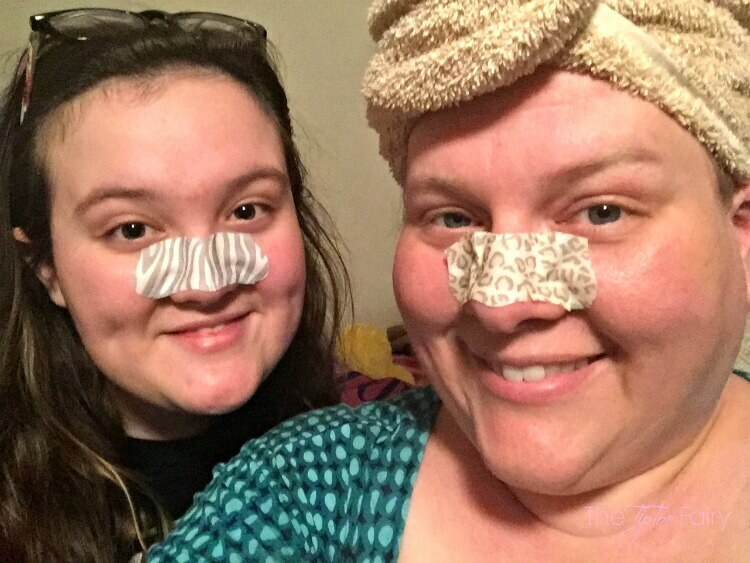 We both love how well they clean out our pores. In just 10 minutes, you can tame your wildest pores! 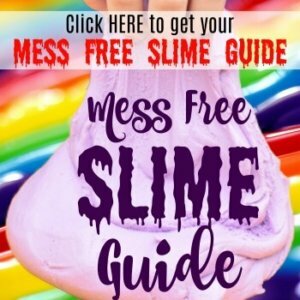 They are able to get all the gunk out of clogged pores to get the deepest clean. With continued use, they can even reduce the visible appearance of pores. We both have a weird little fascination with pulling it off and looking at all the stuff that just came out of our pores. Have you ever used a corn bag? We first found them at a fundraiser for my youngest daughter’s school. One of the teachers was selling them. We bought one, and everyone in our family just loved it (and fought over who was going to use it next). So, I had to make a few more. These are super easy to make. Then, fold it lengthwise in half. 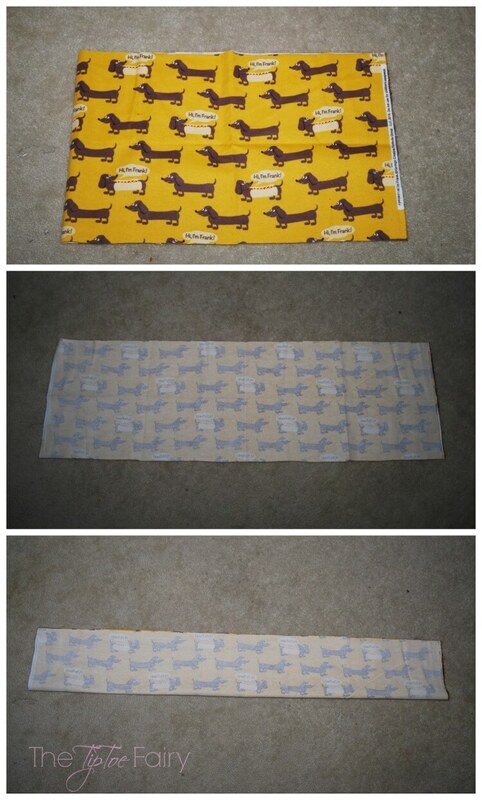 Sew the long side and one short side with a straight stitch. Keep one side open to fill with corn. Divide the bag into fourths. I mark each fourth with a pin on the side. Add 1 cup of corn, then sew up a fourth. Then, add another cup of corn, then sew up the second fourth. 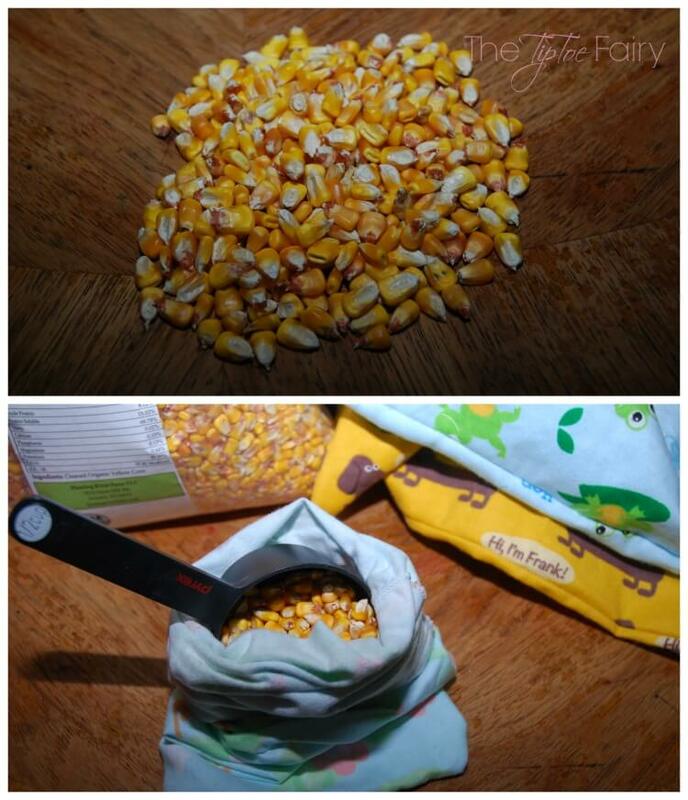 Continue adding a third cup of corn and sewing the fourth, and then add the last cup of corn. On the last fourth, fold in the raw edges inward, and sew a straight stitch closed. Lastly, you’ll want to sterilize and dry out the corn inside the bags. To do this, heat one corn bag in the microwave on a dry paper towel for 2-3 minutes. When you remove the bag, check the paper towel and see if it shows moisture. If so, then heat the corn bag for an additional 2-3 minutes. 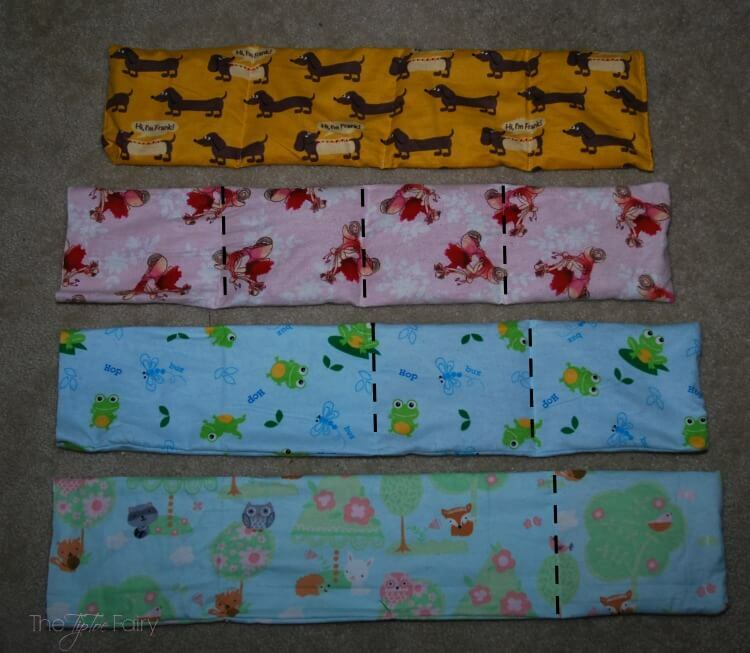 These corn bags are perfect for all kinds of aches and pains. Just pop it in the microwave for 2-3 minutes. They are amazing for menstrual cramps. My teenager and I both love to heat one up and put it on our laps while we watch television. It’s a great way to keep yourself cozy. Have you ever tried Bioré Cleansing Strips? If you love animal prints make sure to get these totally fun, limited edition ones only available at Walmart! I love this! I don’t have any daughters, but I would love to do this with some of my girlfriends! Such an affordable way to have an awesome day with your daughter! I have to try those new WILD strip very soon! This is such a fab idea. I love putting together baskets for people to enjoy, much better than just one gift I think. The DIY corn bags are a great touch too. 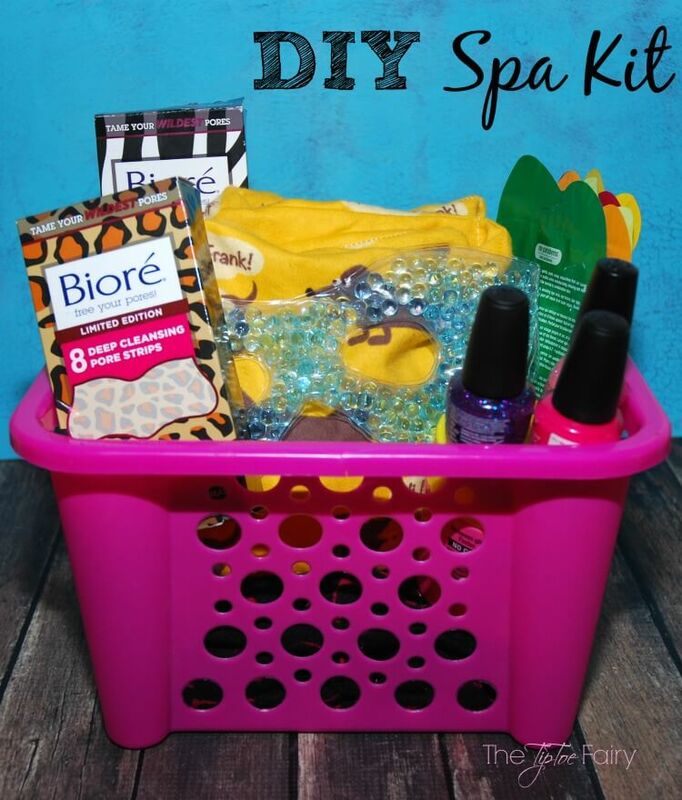 I made a Teen Pampering Spa Kit too for my daughter! Love Biore! Amazing product, tried and tested through the years! Those Biore strips are so cute! I use rice bags at home for my sore shoulder–I love it and it really helps! This is such a great idea for some mother/daughter time together! I know my mom and I could use some relaxation so I may have to invite her over and whip up this kit! These are all creative ideas to spend time bonding with your daughter. 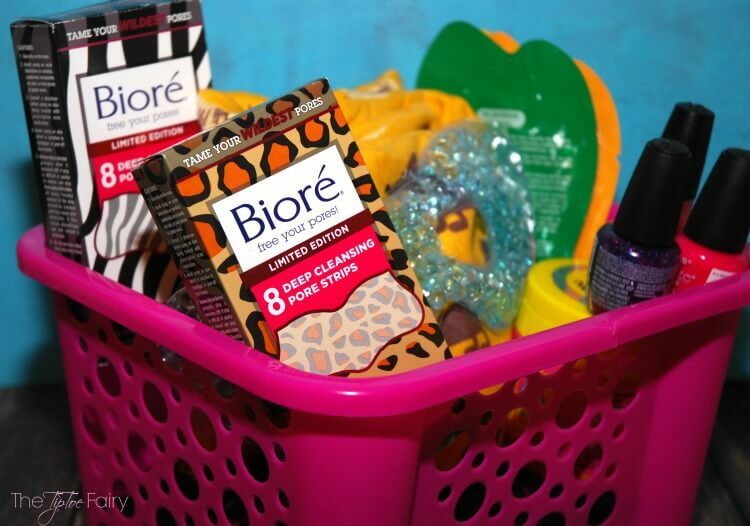 I like the idea of the basket and the corn bags, Biore’ Cleansing strip must try ! What a fun at home spa kit!! 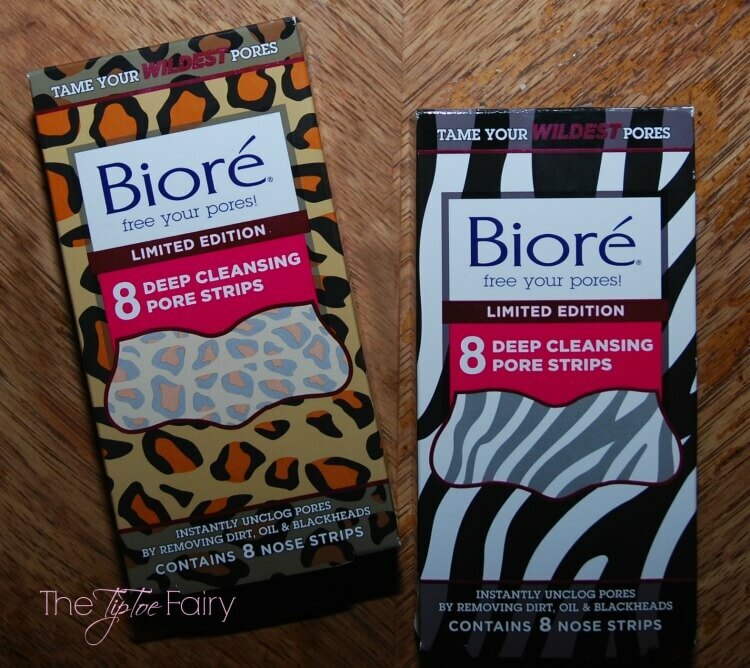 I love those Biore Strips and I can’t wait to try the animal prints!! 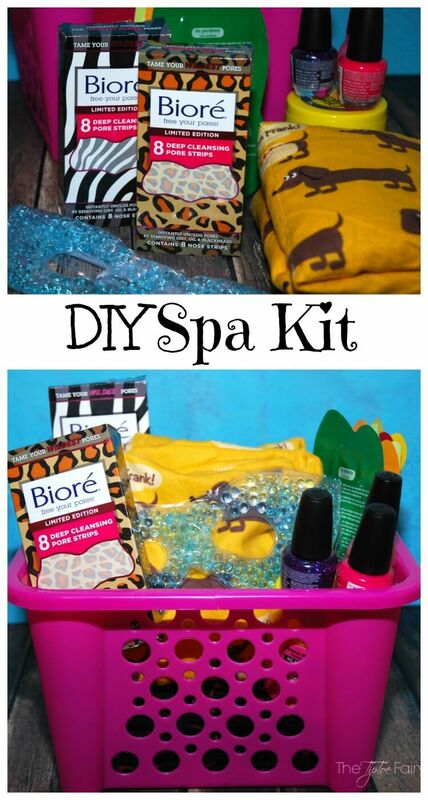 My girls would love the gift of a spa kit. They are just now entering tweens and getting a bit of blemishes on their noses. I love this kinds of quality time with my girls, it’s always so fun and you get to catch up with how your day or week went. Biore has been one of my favorite brands! We’ve been using it for years. What a super cute and really fun idea for moms and daughters! Biore strips are so awesome, but I definitely like these patterned ones the best! I love this idea! Biore sounds a good product for skin care. Such a great idea! My mom would love it if I did this! I could also use some Biore strips! Those things are incredible! I am just loving it. Such a wonderful spa kit & a great idea for being with your daughter together for one such rejuvenating experience. Biore really sounds like a good product to go with. Oh could this be any cuter! I really love this idea. We may have to plan a spa day soon. This is such a cute idea! I will definitely have to try this, so simple and fun! !